This year, London Fashion Week got compressed down to nearly nothing and we found ourselves looking down the barrel of the Milan Fashion Week collections before we even knew what hit us. Ultimately, though, that's okay--MFW brought out tons of fashion industry insiders, basically all of whom were carrying pretty bags at which to gawk. Last season's Milan shows felt at times like an orgiastic tribute to celebrities, but this season, designers scaled things back a bit. Instead of attempting to fill every from row with the Katy Perrys and Rita Oras of the world, the people that the paparazzi spotted outside of the shows are mostly famous because of their involvement in the industry. Check out the best bags we spotted below. Anna Dello Russo, patron saint of ridiculous fashion week getups. Because fewer celebs were paid to show up this season, the paparazzi focused more on actual fashion people, like models. Chiara is Italian fashion's current darling, and she was everywhere during MFW. Just like he does at Chanel, Karl Lagerfeld makes sure he has his army of hand-picked It Girls around him at Fendi shows. One of my favorite parts about looking through photos from the European fashion weeks is the local celebs--Micol is an Italian photographer. Bianca's ombre is Jared Leto-level good. Leigh Lezark, like Olivia Palermo, is one of those celebs whose job seems to consist primarily of going to fashion shows and parties. Not a bad gig. 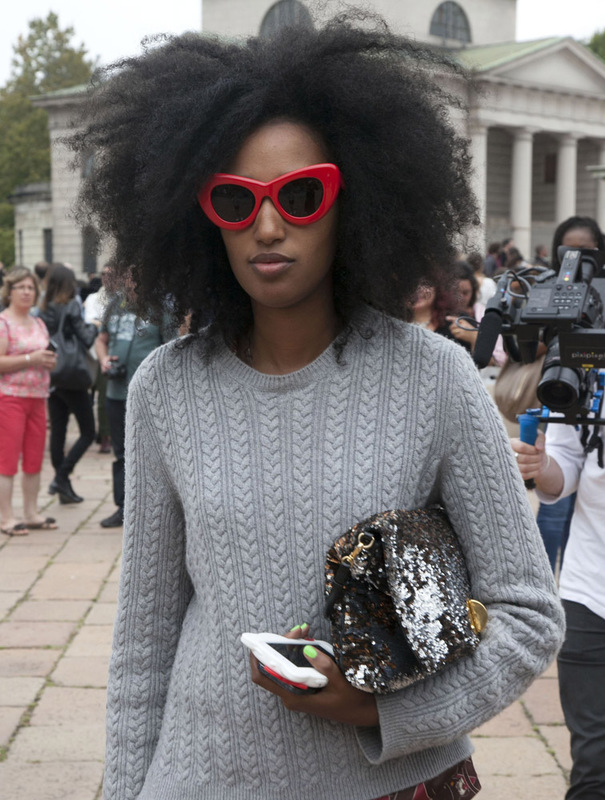 Julia's always one of my personal street style favorites. Chiara mostly opts for just-off-the-runway pieces, but I really appreciate her occasional use of vintage. Wee little handbags that are too small to hold anything: an emerging trend. Hanne's giving a lot of face for this to be just a random paparazzi picture. One high-profile model supporting another via handbag choices. Is it just me, or does Bella Thorne look like a younger Jessica Chastain from certain angles. Bothering to identify this bag seems kind of redundant. It's been great to watch Mira navigate street style while pregnant; it makes her seem like a real person instead of an untouchable style star. Until now, I don't think I had seen this particular bag in exotics. You learn something new every day. Anna Dello Russo is cringing in jealousy as we speak. 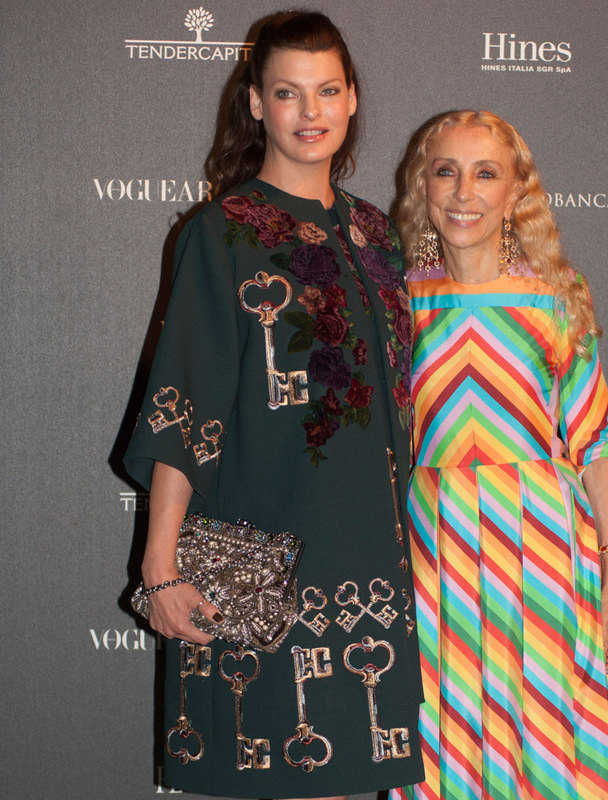 Paula Cademartori has proved to be a hometown favorite among Italian fashion insiders. The season's shows are now at the point where Chiara might be running out of both ideas and clean laundry. Correct me if I'm wrong, but I believe Mira pulled a look from Proenza Schouler Fall 2011 out of her archive to serve as maternity wear. This is an outfit made entirely out of vertical stripes, as if Heidi Klum needs to look taller or thinner. This actually constitutes a rather subdued look for Anna. Unlike the usual models and actresses, Federica is a world-class swimmer. It wouldn't be a fashion week without a Kendall sighting, even if she generally does her best to fly under the radar between shows. When you have your own handbag line, why would you carry anything else? That clutch looks like it weighs ten pounds, but it's gorgeous anyway.